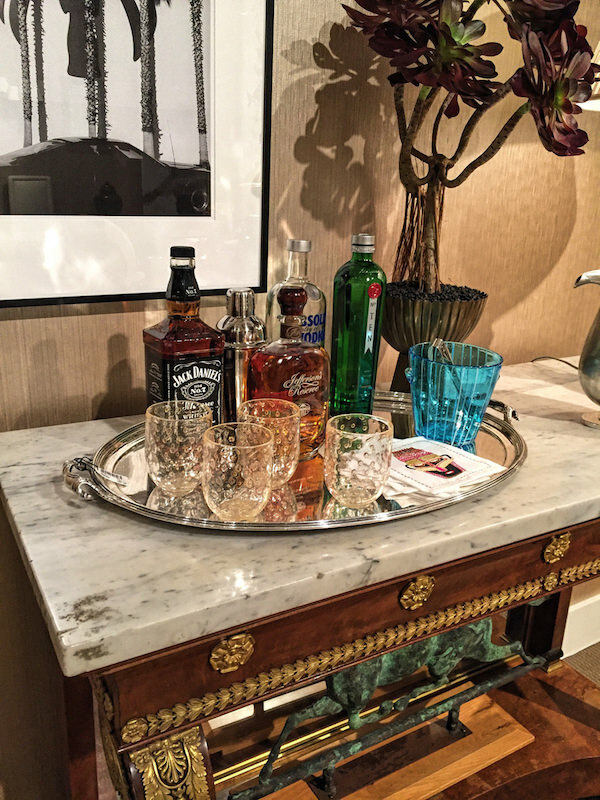 This week, At Home, the Sotheby’s Showhouse 2016 opened. 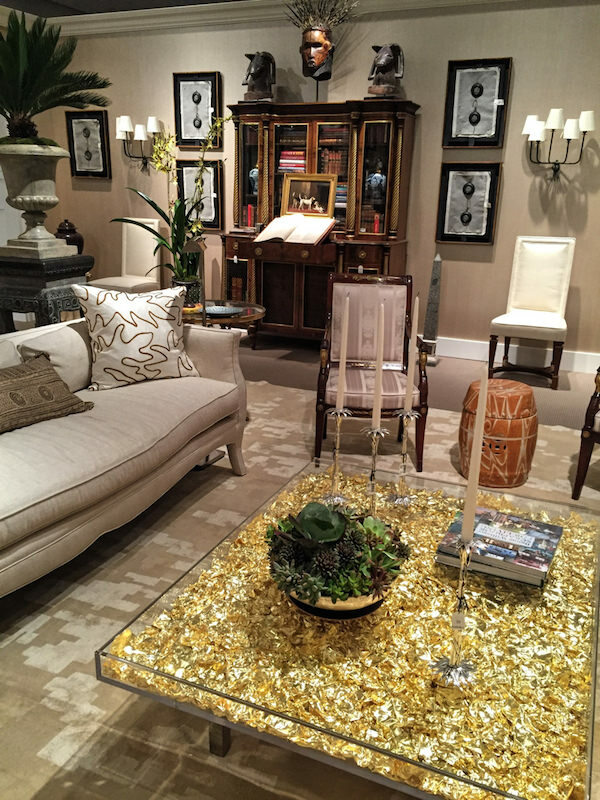 Running through next Saturday, the third annual Designer Showhouse and Auction features twelve design firms who, using works from a variety of Sotheby’s departments, have created a diverse selection of chic and eclectic rooms. 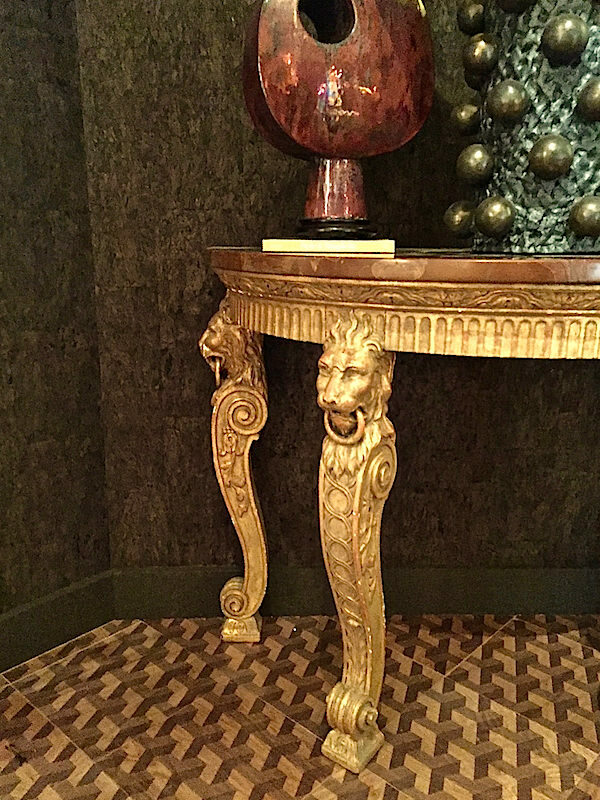 With a special focus on young collectors, these spaces show how timeless works of fine and decorative art not only have stylistic relevance but meaning in today’s interiors. 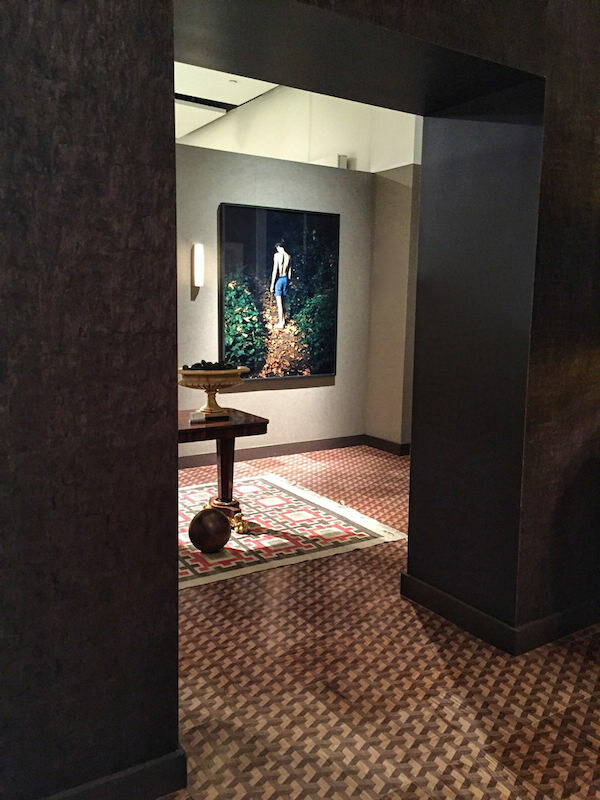 Starting at the connected foyer and gallery, designer and art advisor Richard Rabel‘s goal was to create a space that is “monastically simple and yet embraces a modern vision of the Baroque.” Richard’s years at Christie’s and global experience lend his spaces a worldly and polished sophistication. A balanced mix of textures, pattern and materials within a somber tonal palette, from the Mirth wood tiled floor to cork walls, form a luxe minimalist backdrop for a sophisticated mix of old and new. 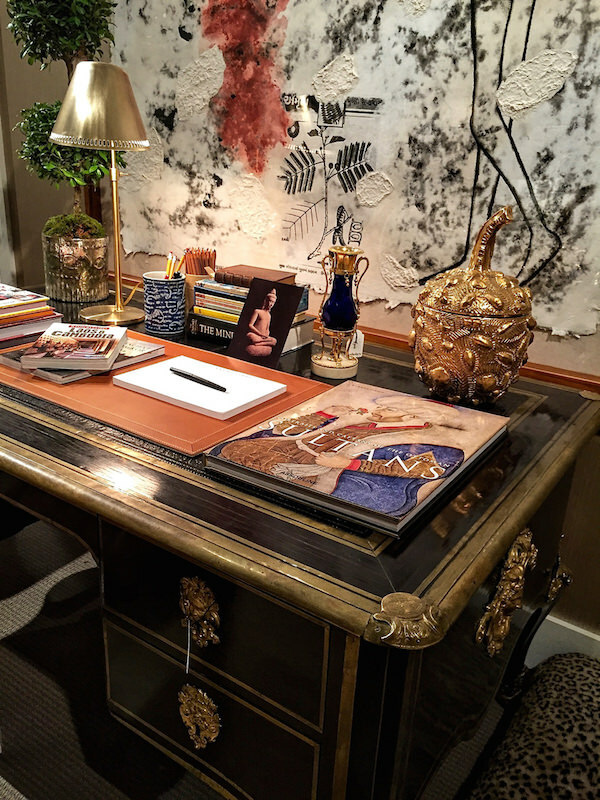 Above, a pair of George II style giltwood demilunes flank Warhol’s 1972 Mao and at top the Otto Natzler earthenware sculpture adds an earthy artisanal warmth against the gilt of the table and bulbous metal forms of the contemporary Cocobolo light. 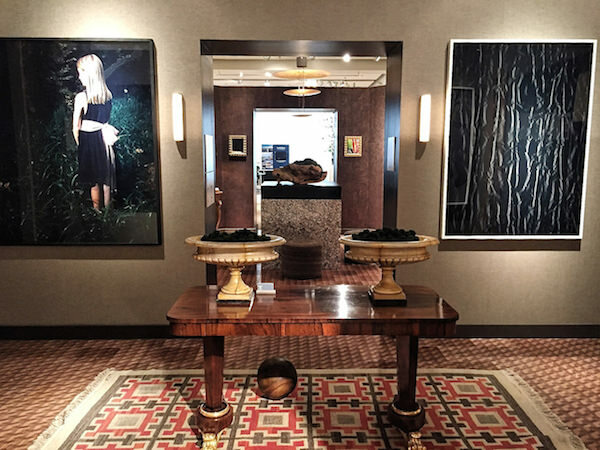 The foyer segues into the lighter gallery, where contemporary art, such as the untitled Anthony Pearson piece on the right, photographs by Sharon Lockhart and classics including a William IV center table with a beautiful pair of 19th century marble tazze make a statement in stylish symmetry. Bunny Williams designed the large living room, where various vignettes within the space make for chic and comfortable living. 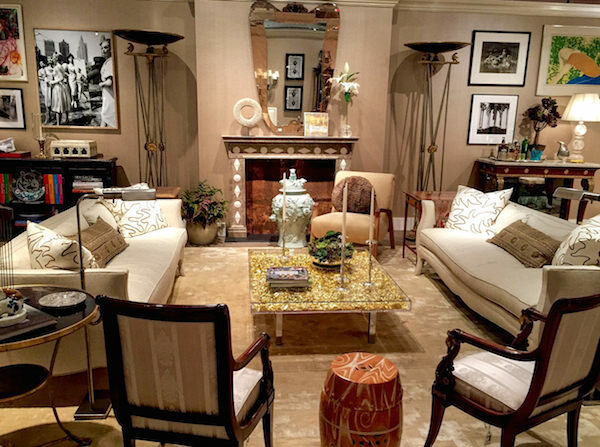 As Bunny explains, “I like complex rooms that become more interesting over time” and her showhouse space exhibits all the hallmarks of a room layered over time. or from a Deco Raymond Subes console to iconic 21st century Ormond Gigli photo. Think brown furniture has had its moment? 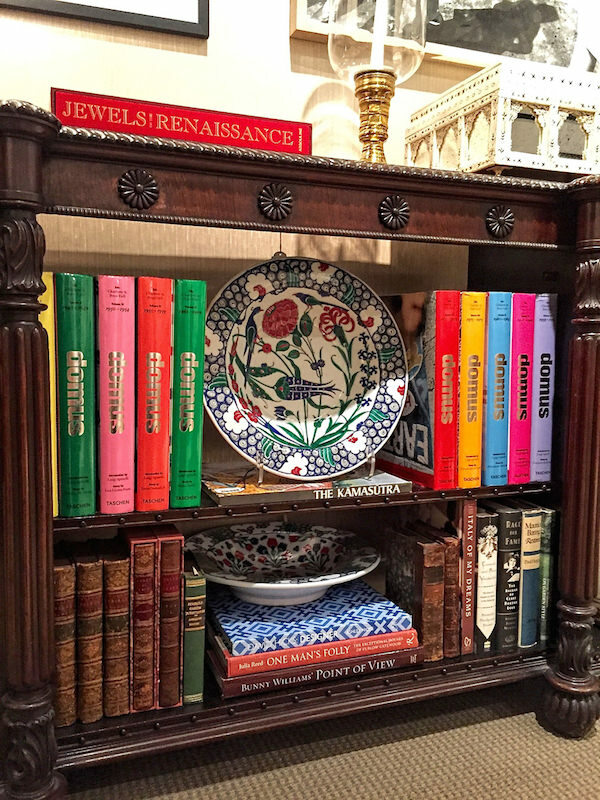 See how this George IV rosewood bookcase is the perfect vehicle for a stylish mix of books and porcelain. Scale and proportion are vital to successful spaces – it’s so often what is “off.” Bunny’s room shows how it’s done as well as varying what Albert Hadley referred to as the skyline of the room. 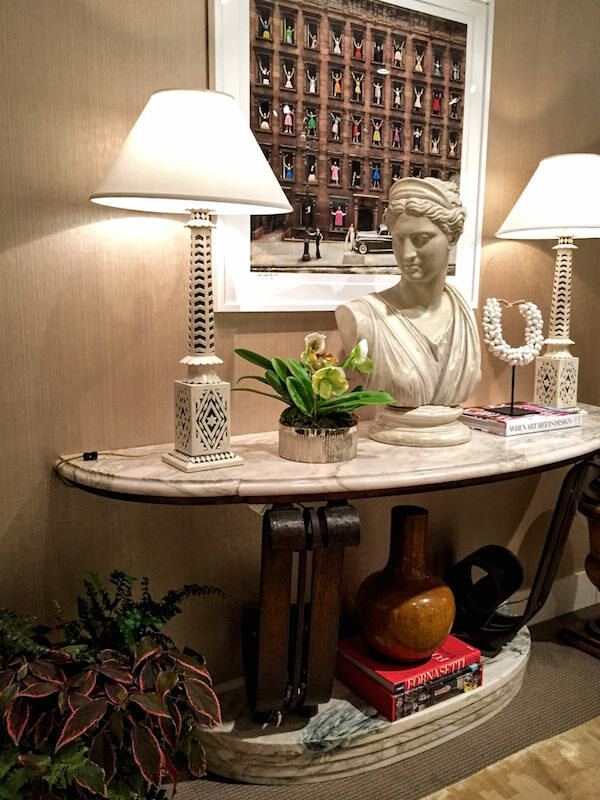 Sculpture placed on top of the bookcase or under the console moves your eye successfully through the space. Note in the first shot, how Bunny added a faux Christian Bérard-inspired door to balance the far wall. And above, Most people would have hung art on the wall over the desk, but Bunny leaned the large scale mixed media piece for dramatic effect – its nonchalance proportionally bumps up the chic quotient. And of course, it’s all about making it personal. It wouldn’t be home for Bunny without a dog bed, above. 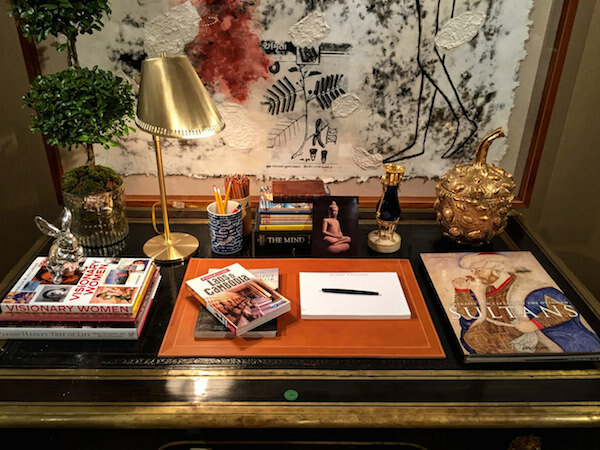 The desk vignette reveals a life well lived with interests in travel, art and of course a signature bunny. And no self respecting southerner would have bar without a little bourbon. I love how this room was ready to be christened with a party! 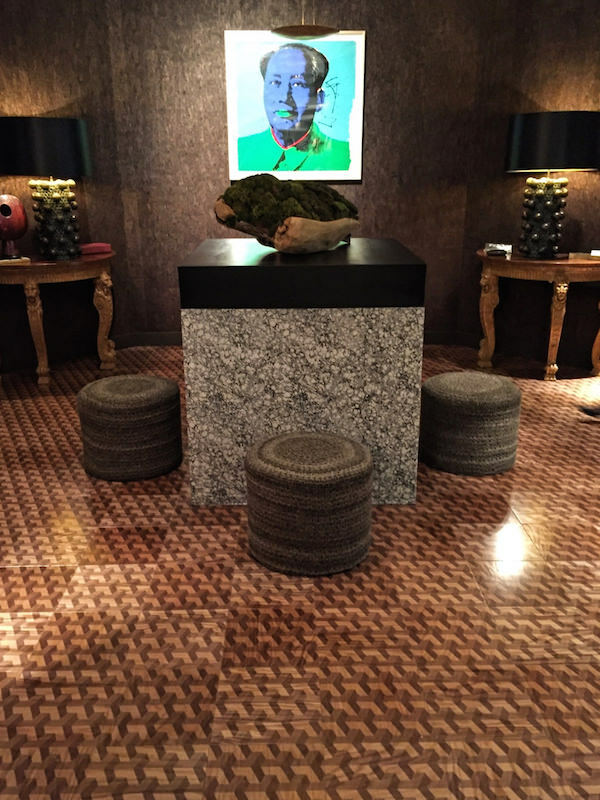 Hopefully we’ll have time to see more of the Sotheby’s Showhouse 2016. If you’re near NYC, be sure to put it on your calendar this week and if not, stay tuned for more design inspiration from this year’s talent. This entry posted in Uncategorized. 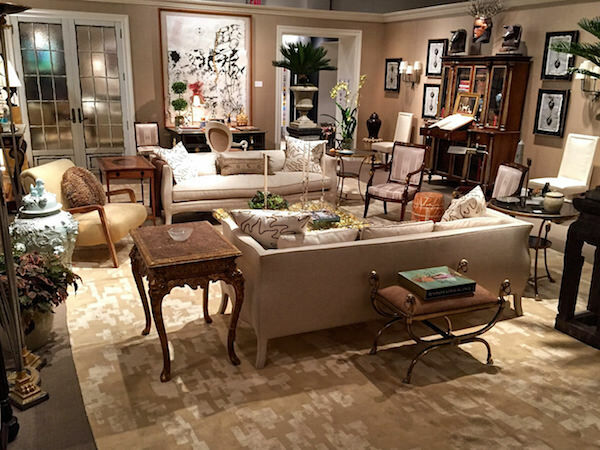 Entry Tags: antiques, auctions, Bunny Williams, interior design, Sotheby's, Sotheby's Designer Showhouse, Sotheby's Showhouse 2016 Bookmark the permalink. The dog bed comes from Wally Beds, as I found out from reading Bunny’s book “An Affair with a House”, and they are indeed, wonderful.. Thank you! What a treat!! 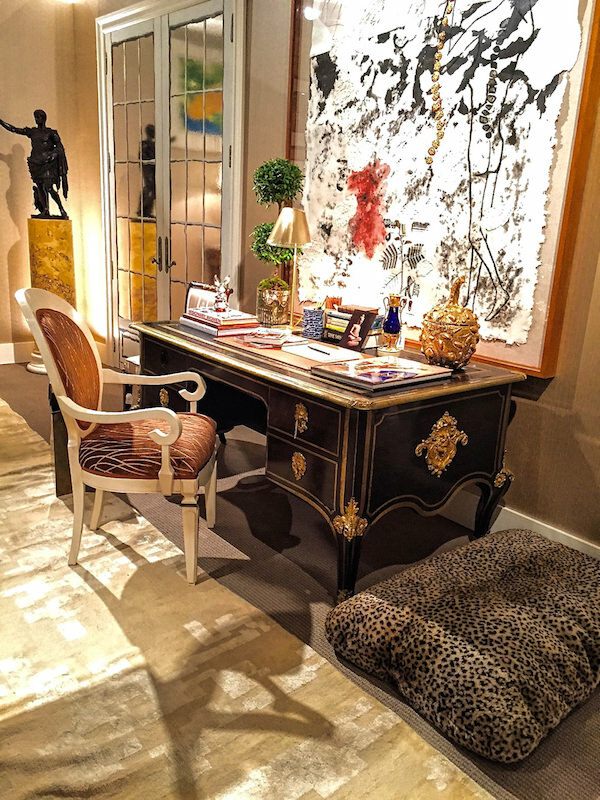 Rooms like this make me swoon, the art the antiquities and yes even the dog bed!! Since I will miss the show, I am so happy to see such a good representation here. Especially for Bunny Williams’ room, it is almost like being there. Thanks, Stacey. 81 queries in 0.403 seconds.